Take a step out of the hot Dorne sun, and grab drink with your Game of Thrones House Martell Mug. FromGame of Thrones, the hit HBO show and George R.R. Martin's book series A Song of Ice and Fire, the House Martell mug measures approximately 3 3/4-inches tall. 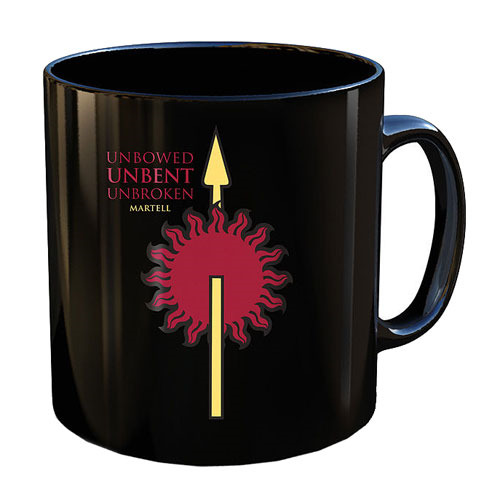 Perfect for collecting or your morning grog, the Game of Thrones House Martell Mug features the house motto, "Unbowed, Unbent, Unbroken. Martell". Dishwasher and Microwave safe.